Bodega Vinificate was born in San Fernando, Cadiz, by two winemaker brothers, Miguel and Jose. 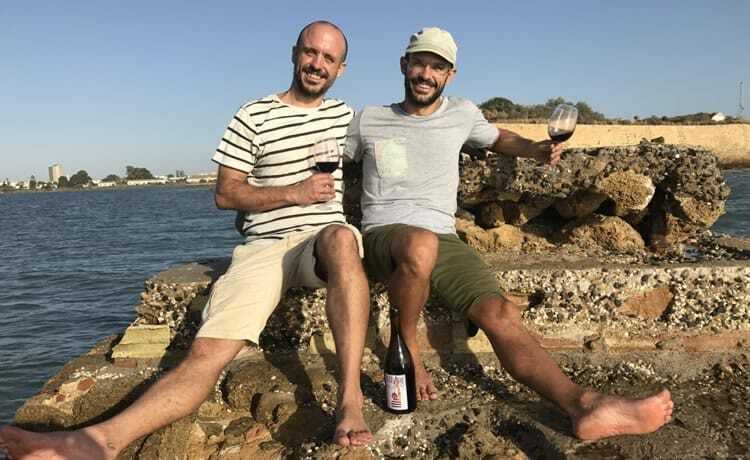 For many years they were involved in different projects around the area of Cadiz, and when in 2011, they did first vintage/wine called Mahara they decided to start together a new winery in their own town of San Fernando. The two of them are passionate about their own land, respectful of the terroir and the local grapes. The main idea of the project is to express, in their wines, the soil, climate and the local grapes varieties. The winds of Levante (east) and Poniente (west) play a big role in the climate and affects the vintages every year. The Levante is warm and dry that comes from Sahara Desert and the Poniente brings the humidity and the freshness from the Atlantic Ocean. The soil is manly Albariza, well adapted to the grape varieties Palomino, Tintilla de Rota and Tempranillo. They follow some of the biodynamic methods, with no additives added and a minimum intervention in the winery. The vineyards are located in Chiclana, Sanlucar and Jerez de la Frontera with a total of 5 hectares. They are independent from any DO appellation.